Gary M. Schuster is a Partner at the firm. 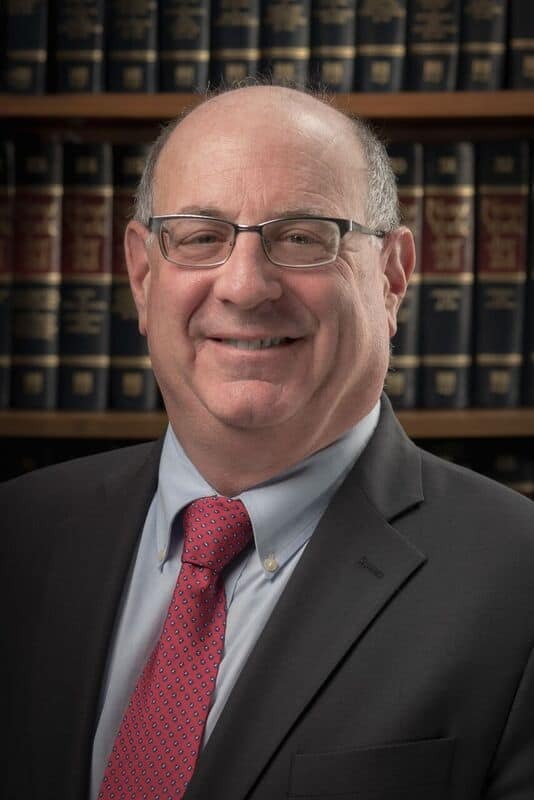 His varied practice includes formation, transactions and counseling for corporations, LLCs, partnerships and nonprofits; purchases and sales of businesses; commercial and residential real estate transactions and leasing; franchising; estate planning, administration and litigation; guardianship proceedings; and media, copyright and trademark. Gary received his B.A. in Government and Journalism from Lehigh University in 1979, and his J.D. from Fordham School of Law in 1988. He is admitted to practice in the United States District Court for the Southern and Eastern Districts of New York, and was admitted to the Florida bar in 2002. Gary has assisted in the formation, purchase and sale of all kinds of businesses including medical and veterinary practices, printers and publishers, tech companies, franchises, restaurants, bus companies, liquor stores and beer distributors, gas stations, hair salons, tattoo parlors, and a theater, funeral home, bicycle store, and more. Gary was a guest on the Orange County Chamber of Commerce ‘Chamber Chat’ radio program on Wall Radio, February 4th. He discussed tips to start a business, business entity selection and much more. You can hear the audio below. Gary has extensive experience as both a Board member and attorney representing many kinds of nonprofits including those in economic development, health and human services, arts and culture, education, animal welfare, social clubs, sports, veterans and more. He advises on issues including formation, dissolution, merger, governance, fundraising, compliance, real estate, taxation and tax exemption, transactions, conflict of interest, employment and labor, political activity, loans and finance, trademarks, and other issues. He is currently on the board of the New York Council of Nonprofits (NYCON), The Orange County Citizens Foundation, and the Orange County Arts Council. He is a frequent speaker on nonprofit issues including the major 2014 amendments to the New York Not-for-Profit Corporation Law. Gary has been a leader in educating the public about New York’s new benefit corporation. His writing about B Corps is found in the Business Law section of the J&G blog. Gary has extensive experience in music and art, which includes past employment with ASCAP, The Songwriters Guild of America, Dunvagen Music Publishers (owned by the composer, Philip Glass) and Knoedler Publishing (publishers of the artist, LeRoy Neiman). He has represented clients in art, music, film, video, dance, theater, photography, fashion modeling, publishing, the internet, museums and arts centers. He is a founding Board member, past President, and now General Counsel of the Orange County Arts Council. He has represented or advised KingsTheatre Co., Cornerstone Arts Alliance, Trestle, Inc., Newburgh Institute for Arts and Ideas, Newburgh Arts and Culture Commission and others. He was also instrumental in creating the Orange County Film Office. In the field of intellectual property, Gary has registered and renewed hundreds of copyrights, and registered nearly 100 trademarks. Gary is also Adjunct Instructor at SUNY Orange in Middletown teaching Music Business. Gary has written numerous informational articles and blogs that can be found on our blog page. Gary is from Rego Park, Queens, New York and moved to Orange County with his family in 2002. Gary presented ‘The Creative Industry’ to the Orange County Chamber of Commerce membership at a breakfast in September 2016. Here is a link to this presentation. Gary discusses starting a business on the Orange County Chamber of Commerce’s ‘Chamber Chat’ on Wall Radio. It aired on February 4, 2017 at 9AM on 94.1FM, 94.9FM, 105.7FM, 106.1FM and 1340AM. Gary Schuster was on WTBQ Radio live with Debbie Major from Zylofone for the Nonprofit Notebook show on January 22nd in Warwick. Gary was discussing information for those interested in starting a nonprofit and the roles and responsibilities of those who serve on a board. You can hear the recording by clicking below.